2% regular cashback is also excellent. 3% bonus cashback for 6 months is very good promotion for the card. There is no annual fee for this card. Zero liability is available for this card. Purchase protection is available for the card. There are good insurance options are available. Minimum purchase and balance transfer APR is fair. Maximum purchase and balance transfer APR is high. 27.24% cash advance APR is high. Maximum cash advance and balance transfer fee rates are high. Minimum cash advance and balance transfer fees high. 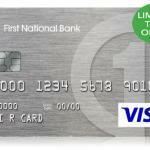 FNBO Cash Back Visa Card is a credit card of First National Bank of Omaha with good cash back rates. You can get 3% cashback for the first 6 months after you get the card. Then cashback rate is going to be 2%. It is above the average. However the card’s other features are a bit expensive for consumers. Minimum APR on purchases and balance transfers is fair. However maximum APR is not profitable at all with 25.99% rate. Cash advance and balance transfer fee minimum payment is also high. You are going to pay $15 for cash advance and $10 for balance transfer (minimum). Maximum payment for both of them is 5% and it is also high rate too. 3% for each foreign transactions is making this card expensive. Unfortunately FNBO Doesn’t Offer This Card At The Moment. 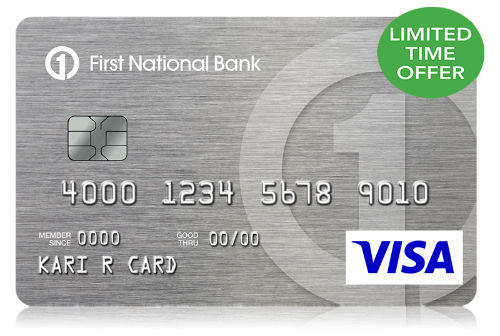 You can see all rates of FNBO Cash Back Visa Card below. There are also user reviews and editor scores. 18.99% – 25.99% 3% Cashback Rewards for first 6 months.